Image borrowed from "Puerto Rico's Blue Roof Phenomenon" documentary. How do I say this quickly so you don't just get bored and read something else? We're facing an environmental disaster from plastic pollution. Do you remember seeing the blue tarps covering the roofs of houses in Puerto Rico after Hurricane Maria? Well, many of them are still there and they're coming apart, spewing their poison everywhere. Plastic tarps were not designed to withstand the harsh Caribbean sun for months on end. I never would have thought though that they could turn to confetti and dust. We've had a few unusually gusty days, and that little bit of wind was enough to show the danger that the fish, manatee, and sea turtles are facing. 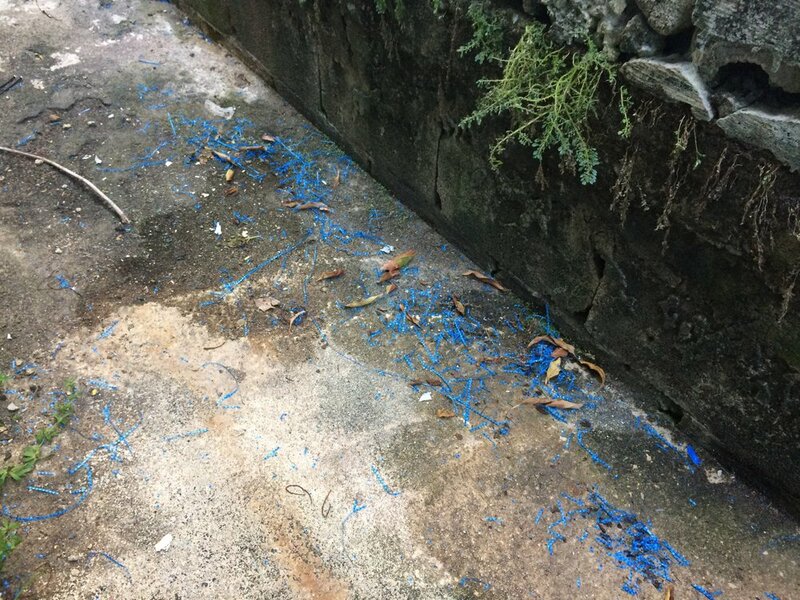 Up and down the streets, there are remnants of blue tarp, waiting for the rain to wash them into the ocean. 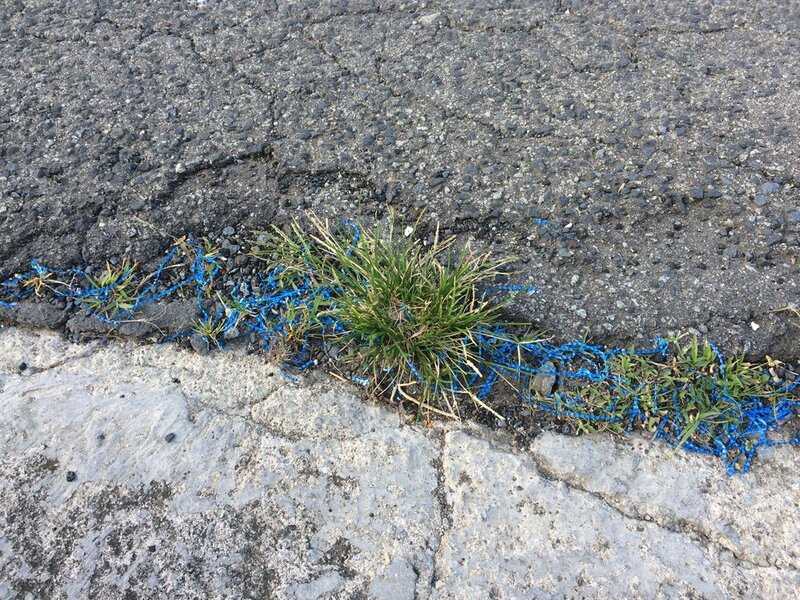 The rains come down and wash these small plastic bits right into the storm drains and into the ocean. I had hoped to save what little I could of my house. It took weeks to get tarps to cover my roof, and almost everything in my home was destroyed. It's been seven months, and I'm no closer to rebuilding my house now than I was before. The cost of materials has skyrocketed. Skilled labor is scarce. There's very little I can do at this point other than wait. After seeing what the tarps are doing, I took them down off my house. I'm looking for information about where I can take them for recycling. I've found plenty of articles online stating that tarps are recyclable, but I haven't been able to determine if the municipal recycling centers here in Puerto Rico are accepting them. Please leave a comment if you know anything about this.